Gasoline Engine: Cylinder block and all internal lubricated parts including crankshaft, rod, and bearings, cam bearings, expansion (freeze) plugs, connecting rods, wrist pins, pistons, piston rings, camshaft, cam tower, lifters, cylinder head, valves and guides, valve springs, rocker arms (cam followers), pushrods, timing chain housing (cover), timing chain and sprockets, timing belt and pulleys, timing belt tensioner, intake and exhaust manifolds, ﬂywheel, balance shafts, harmonic balancer and retainer bolt, crankshaft pulley, valve covers, oil pan oil pumped pressure relief valve, oil ﬁlter adapter/housing, oil sending unit, engine mounts, water pump, temperature sending unit, thermostat and housing, fuel supply pump, vacuum pump, seals and gaskets and fasteners for the components listed above. Turbocharged Engine: All of the above listed parts plus turbocharger housing, internal parts, waste gate controller, intercooler, hard lines, seals and gaskets. Supercharged Engine: Compressor, all internal parts, clutch and pulley, bypass valve, dusting, intercooler, seals and gaskets. Rotary Engine: All of the above listed parts plus housing, internal parts, seals and gaskets. Diesel Engine: All of the above listed parts plus diesel fuel injection pump, lines and nozzles. Automatic: Case and all internal lubricated parts including oil pump, valve body, torque converter, vacuum modulator, governor, main shalt, clutches, bands, drums, gear sets, bearings, bushings, sealing rings, transmission mounts, cooler hard lines, seals and gaskets and fasteners for the components listed above. Standard: Case and all internal lubricated parts including main shaft, gear sets, shift forks, synchronizers, bearings, bushing, seals and gaskets and fasteners for the components listed above. Transfer Case (4×4 vehicles): Case and all internal lubricated parts including main shaft, gear sets, chain and sprockets, bearings, bushings, mounts, seals and gaskets, fasteners for the components listed above, electronic and vacuum engagement components. Final drive housing and all internal parts including carrier case, gear sets, chain and sprockets, bearings, bushings, axle shafts, constant velocity joints and boots, universal joints, front hub bearings, locking hub assemblies (4×4) drive shaft support, rear axle hub bearings, seals and gaskets and fasteners for the components listed above. Drive axle housing and all internal parts including carrier case, gear sets, bearings, bushings, limited slip clutch pack, axle shafts, axle hub bearings, propeller shafts, universal joints, drive shalt support, front axle hub bearings, seals and gaskets and fasteners for the components listed above. MacPherson struts (includes upper mount and pivot bearing assembly), upper and lower control arms, bump stop cushions, control arm shafts, torsion bar mounts and bushings, upper and lower ball joints including dust boots, steering knuckle (spindle), wheel bearings and seals, stabilizer shaft, stabilizer linkage including mounts and bushings, strut rods and bushings, king pins, seals and gaskets and fasteners for the components listed above. Master cylinder, assist booster, wheel cylinders, combination valve, disc brake calipers (and rear caliper actuators), hard lines and ﬁttings, backing plates springs, clips and retainers, self-adjusters, parking brake linkage and cables, seals and gaskets and fasteners for the components listed above. Alternator, voltage regulator, windshield wiper motors and delay controller, starter motor and drive, starter solenoid, wiring harnesses, manually operated switches (such as turn signal, headlight, dimmer and wiper switches), mechanically actuated switches (ignition, brake light and neutral safety switch), electronic ignition module, distributor and coil, engine management control unit, knock sensor and oxygen sensor. Compressor and mounting brackets, clutch and pulley, condenser, evaporator, oriﬁce tube, POA valve, accumulator, temperature control programmer, high/low pressure cutoff switches, pressure cycling switch, O-ring seals, gaskets, fasteners for the components listed above and freon-refrigerant if necessary in conjunction with the repair of the components listed above. You will be reimbursed for all towing charges up to $35.00 due to failure of a covered item, unless you already have towing coverage. Mechanical breakdown coverage. If any of the covered parts listed above breakdown, then for the lesser of a period of 90 days from the Vehicle Purchase Date of 3,000 miles, whichever comes ﬁrst, (the “Warranty Period”), VATLAND will at no charge to customer, repair or replace any such parts at any Vatland location with a deductible of $50 dollars. Mechanical breakdown coverage applies to the covered parts as listed as items in “PARTS COVERE ” above, plus related labor, but does not cover parts which are covered by any warranty of the manufacturer or any third party warranty. Notiﬁcation of failure of covered parts must take place within the Warranty Period. Repairs will be made with parts of like kind and quality. It is expressly understood that replacement parts and/or components need not be new, but may be used or rebuilt and will be guaranteed serviceable. A “breakdown” or “mechanical breakdown” means the failure of any original or like replacement part covered by this Warranty to work as it was designed to work in normal service. However, reduced operation performance due to wear and tear shall not be considered a breakdown within the meaning of this Warranty. This Warranty does not constitute a written afﬁrmation of fact or promise by VATLAND that the material or workmanship of the automobile or any parts thereof are free of any defects or will meet a speciﬁed level of performance over a speciﬁed period of time. Any damage or breakdown caused by collision, ﬁre, theft, vandalism, riot, explosion, natural disaster, abuse, misuse, or alteration. Maintenance services and parts, including engine tune-ups, suspension alignment, wheel balancing, ﬁlters, lubricants, engine coolant, drive belts, hoses, wiper blades, air conditioning recharge, ﬂuids, spark/glow plugs, manual clutch disc lining and pressure plate and brake pads, linings and shoes. Alignment of bumper and body parts. Glass, lenses, sealed beams, light bulbs. Tires, battery, shock absorbers, brake rotors and drums. Non-factory installed cellular telephones, theft deterrent systems, radios, and stereo equipment and air conditioning components. Carburetor, throttle body assembly (except injectors) contaminated fuel system, exhaust system, including the catalytic converter. Any cost covered by any warranty of the manufacturer or any third party or repairer’s guarantee regardless of whether their honor such warranty or guarantee. If your odometer has been stopped or altered or misrepresents your car’s mileage. If your car is used for daily rental, police, emergency use, or used. to carry passengers for hire. A breakdown caused or contributed to by the use of improper or contaminated fuel. A breakdown caused by or involving modiﬁcations unless those modiﬁcations were performed by the dealer. Loss of time, use of Vehicle, inconvenience, lodging, food or other consequential loss that results from a breakdown. Breakdowns caused by abuse, misuse, alterations, or lack of customary maintenance. Damage caused or contributed to by operating a vehicle that does not have proper levels, or speciﬁcation (type) of ﬂuids, lubricants or coolant. A breakdown caused by racing or other competition. Manufacturer updates to ECM, PCM, Navigation units, DVD units, Bluetooth. From the engine to the glove—box lock – if it breaks or wears out and does not appear on the list of what is not covered, we will ﬁx it. Whatever it is. This Warranty is not transferable during the term of the Warranty Period. All Claim must be preauthorized at any of the Vatland Locations. A deductible of $50 will apply to all claims. Repair or replacement of covered parts must be performed at the VATLAND location from which the vehicle was purchased. If a breakdown occurs within the Warranty Period and Customer is not within a reasonable distance then Customer should contact VATLAND immediately for the name and location of the nearest authorized repair facility. If Customer pays for repairs or replacement parts, an authorization number is required for reimbursement. 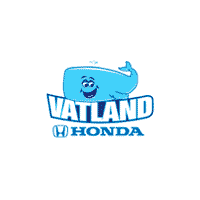 A $100 dollar deductible will apply for all repairs completed outside of Vatland facility. Non—compliance with the above requirements will invalidate Customer’s ability to submit a claim for that repair or replacement. It shall be Customer’s sole responsibility that repairs are made to Customer’s satisfaction, in accordance with the provisions of the warranty. VATLAND reserves the right to inspect any vehicle prior to authorization. Customer has read this Bumper to Bumper Limited Warranty and agrees to the terms and conditions set forth herein, including the provisions set forth on the reverse side. Customer acknowledges and agrees that these terms and conditions are a complete statement of coverage and rights under this Limited Warranty and, that Customer is not relying on any writings other than this Limited Warranty or any other representations or promises. VATLAND does not authorize any person to create for it any other obligations or liability in connection with this vehicle. TO THE EXTENT PERMITTED BY LAW, ANY IMPLIED WARRANTY OF MERCHANT ABILITY OR FITNESS FOR A PARTICULAR PURPOSE APPLICABLE TO THE VEHICLE IS LIMITED IN DURATION TO THE DURATION OF THIS WRITTEN WARRANTY. VATLAND SHALL NOT BE LIABLE FOR ANY INCIDENTAL OR CONSEQUENTIAL DAMAGES. This warranty gives you speciﬁc legal rights, which may vary from state to state. Some states do not allow limitations on how long an implied warranty lasts or the exclusion of limitations of incidental or consequential damages, so the above limitations or exclusions may not apply to you.